Walking with friends through life helps to ground me. Being able to share what God is doing in our lives is a source of deep peace and encouragement. For the friends You have given me, I thank You. May I be a true friend to them, encouraging them to follow You. Think of a friend that needs encouragement to do what God is asking. Close your eyes and imagine putting your arm around their shoulder. What prayers are emerging in your heart, mind, body, and imagination? Pray them now. 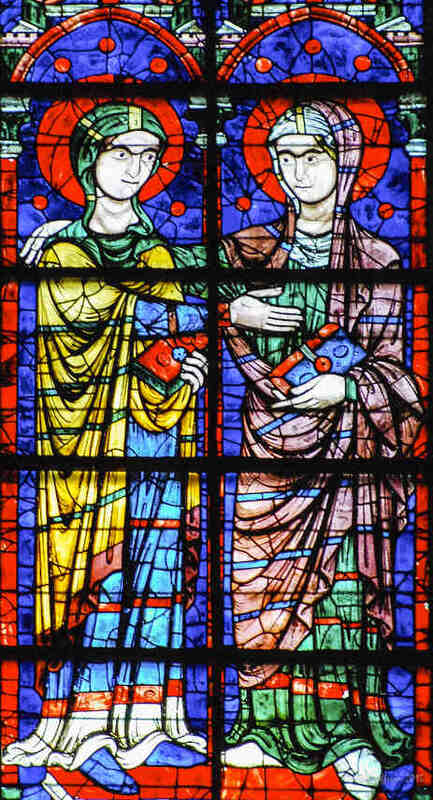 The Visitation: Mary and her cousin Elizabeth greeting each other. 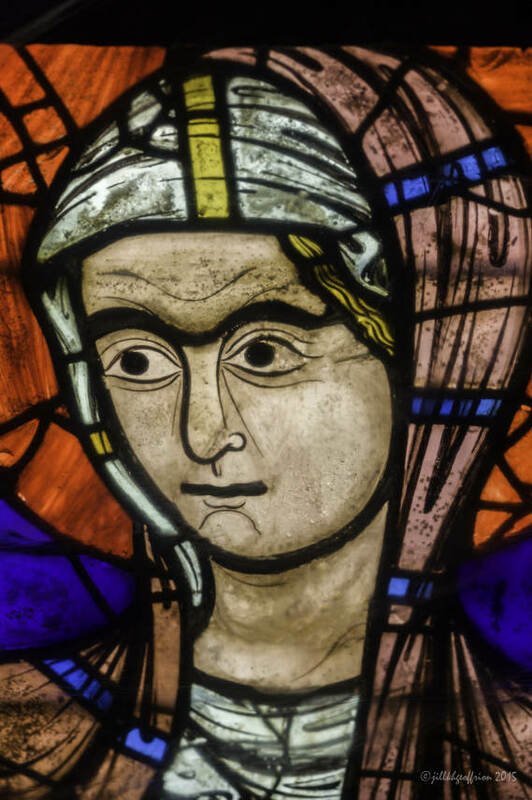 Lower panels of the thirteenth century stained glass window in the East at the Chartres Cathedral in France. This image is visible from the entrance to the labyrinth and on the four straight paths that lead toward the center. It is the directly in front of a walker as s/he enters the center. 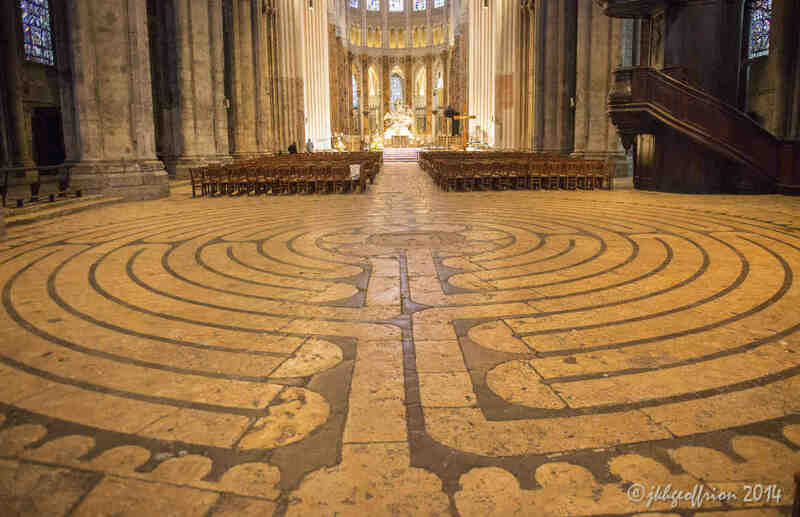 The labyrinth in the Chartres Cathedral. 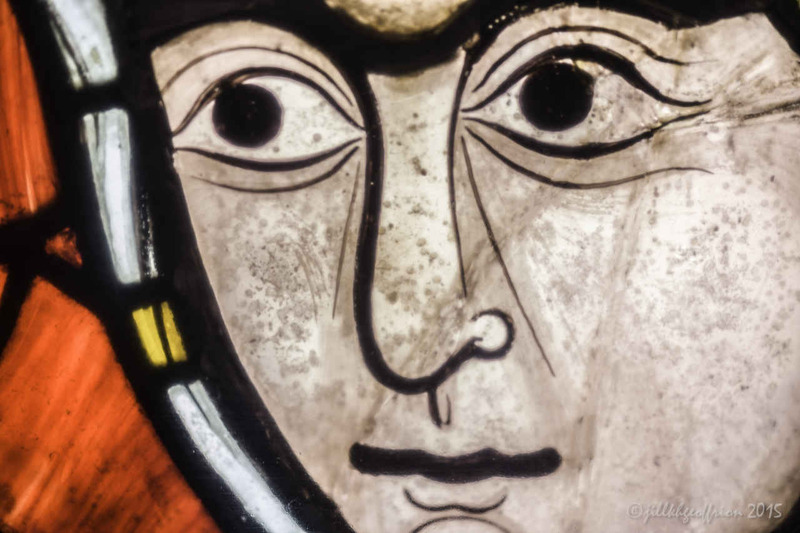 Unfortunately, due to restorations it will not be open for walking again until the fall of 2016. The apsidal image of Mary as a throne for Jesus who is sitting on her lap blessing.